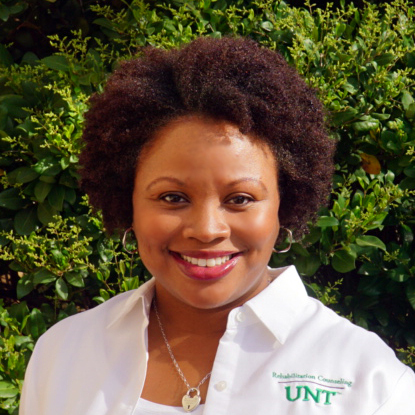 Chandra Carey, Associate Professor in the Department of Disability and Addiction Rehabilitation, joined UNT’s faculty in 2009. Professor Carey has found considerable success in securing external funding for her research, which centers on the racial/ethnic diversity of students in rehabilitation studies and rehabilitation counseling, and on mental illness and the recovery experiences of women of color. She is a co-principal investigator on a $400,000 grant from the Texas Higher Education Coordinating Board. This three-year grant, currently in its final year, involves recruitment and retention strategies for students of color. With community colleges as partners, she has developed programming designed to provide enhanced retention support and constant points of contact with cohorts of students, with the aim that these young people will transition to UNT’s accelerated Master’s program in rehabilitation counseling. Professor Carey has begun another project, a collaboration with Angie Wilson, Assistant Professor in UNT’s Department of Counseling and Higher Education, which is exploring the lived experiences of black women struggling with mental illnesses. Through intensive interviews, Professors Carey and Wilson are examining the cultural barriers that make these women less likely to seek help, as well as the possible challenges the cultural competence of service providers may present to those seeking help. Professors Carey and Wilson have applied for a grant from the Jerry M. Lewis, MD Mental Health Research Foundation to support this work. In addition to her considerable scholarship, Professor Carey in the Coordinator of a new interdisciplinary doctorate in Health Services Research. Kiseol Yang is an Associate Professor in the Department of Merchandising and Digital Retail. She joined UNT’s faculty in 2007, and her research focuses on mobile retailing and mobile data service adoption behavior. Professor Yang’s scholarship is having an important impact in her field, and in the course of making a name for herself, she is also bringing recognition to UNT. Earlier this year a paper was published in the International Journal of Retail & Distribution Management that ranks the productivity of scholars in the area of retailing not only in terms of numbers of publications in the elite journals in the discipline but also in terms of the impact such publications have had on the work of other scholars. Professor Yang is one of the 20 most productive and influential scholars in the world in this area, ranking 10th in the total quality and impact adjusted indices. Her work, as well as that of her colleagues, has made UNT the top-ranked institution in the world by a number of different metrics, ahead of institutions such as the University of South Carolina, Michigan State University, and the University of Tennessee. Professor Yang is also proud of her department’s Digital Retail Program and her role in shaping its curriculum. This program was the first of its kind in America, and it continues to excel. A recent summit involving academicians and industry experts discussed curricular changes that would produce students with the qualifications required by today’s industry. UNT’s Digital Retail curriculum already includes all of the items mentioned at that summit. Unsurprisingly, the program has a placement rate of about 90%. 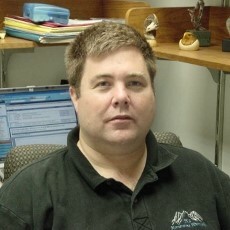 David Keathly, Principal Lecturer in the Department of Computer Science and Engineering, has introduced many young people to the fields of robotics and more broadly, information technology. Through this work, Mr. Keathly has managed to raise awareness of UNT throughout the region and beyond. For the past 13 years, he has run robotics and information technology summer camps for children both on our campus and at other sites around the Metroplex. These camps focus on fostering creativity and innovation in children. Recently, groups of campers have developed apps that appeal to school children, such as an app that allows one to take a picture of one’s fingernails and then “try on” different nail colors and looks. Another app is a sort of ‘friend-finder’ that matches like-minded kids by examining and matching pictures on Facebook profiles. Campers at an early robotics camp came up with the concept of “Robo-art,” attaching markers to robots and programming them to draw. Since 2008, Professor Keathly has partnered with Collin College, and 65 other community colleges as part of the National Convergence Technology Center, an effort funded by the National Science Foundation. The initial idea was to find ways to help community colleges start new academic programs quickly, but the program has expanded to include a new UNT degree – a Bachelor of Arts in Information Technology. This customizable degree allows students to receive credit for coursework that otherwise wouldn’t count. It will soon offer many IT courses in an online format. This degree program now includes 150 students and continues to grow rapidly. The CTC has also spawned a number of other spin-off projects, including one that uses social media to improve enrollment, another designed to bring more female students into the field of information technology, and programs aimed at attracting students from smaller school districts such as Sanger as well as home-schooled students. Before joining UNT’s faculty in 2004, Professor Keathly had a distinguished career in industry, including positions with IBM at NASA and several startup ventures. 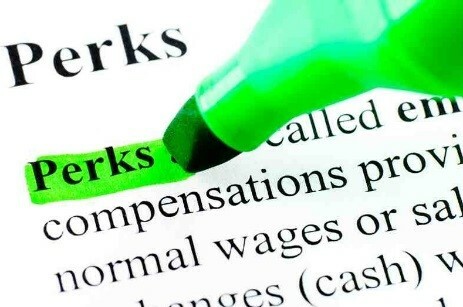 UNT employees enjoy a number of perks, including certain educational scholarships, discounts on software, airport parking, telephone and internet services, fine arts performances, distinguished lectures and more. To learn more, please click here. 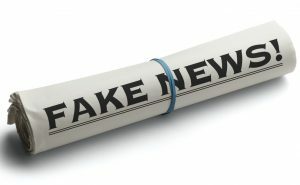 Looking for a way to combine forces with others on campus interested in confronting fake news and alternative facts? Consider attending a workshop on April 11, 2017, from 2:30 – 4:00 in Willis Library 140. This workshop is part of the Collaborating with Strangers series. These connect faculty, researchers, students and others on campus during 3-minute speed-meetings. You’ll walk away with more resources, solutions and creative ideas than you ever imagined! Refreshments will be provided. Please register here. For more information, contact Library Research Support Services. Student Perceptions of Teaching (SPOT) is the student evaluation system for UNT and allows students the ability to confidentially provide constructive feedback to their instructor and department to improve the quality of student experiences in the course. 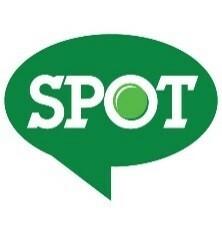 SPOT opens on April 17 and closes on May 4. The faculty portal can be located at https://unt.iasystem.org/faculty. The portal allows faculty to add their own questions to their course evaluations, pull past term reports, and preview surveys created by the department SPOT coordinator. Please encourage your students to participate. Instructions on adding the course evaluation link to your Blackboard page can also be found on the SPOT website under faculty resources. For more information, please visit the SPOT website or email spot@unt.edu. You may have read President Smatresk’s recent announcement that UNT has been recognized by the Bernard Osher Foundation. UNT’s efforts to serve the 50-and-over population in our community began formally in 2009 with the Emeritus College, now known as the Osher Lifelong Learning Institute at UNT. We’ve joined an elite group: the Osher Foundation only supports 120 OLLI programs nationwide. Many UNT faculty have taught OLLI courses on our campus or at the Robson Ranch active adult community to our southwest in the past. OLLI at UNT is now expanding, and this means exciting new teaching opportunities for UNT faculty this summer and next fall. With the generous grant from the Osher Foundation, OLLI at UNT is able to offer teaching fees to those who teach at the new locations. The teaching fee is $100 for one 90-minute session (75-minute lecture plus 15 minutes for Q&A). In order to showcase as many faculty members as possible, individuals may submit a proposal for a maximum of two sessions at each location. If you would like to teach at one or both of these locations, please go to http://lifelong.unt.edu/OLLI/Propose and select the Summer Class Proposal Form to submit your proposal(s). This form will allow you to choose dates/locations/semesters. You are also encouraged to teach a pro bono class at UNT or Robson Ranch in Fall 2017 or Spring 2018. Leuzinger received her M.L.S. from Texas Women’s University. For more information regarding the ACRL PPIRS Marta Lange/SAGE-CQ Press Award, or a complete list of past recipients, please visit the awards section of the ACRL website. Congratulations to Erin Welch of the Department of Management, winner of last month's giveaway! As the old adage goes, April showers bring May flowers. 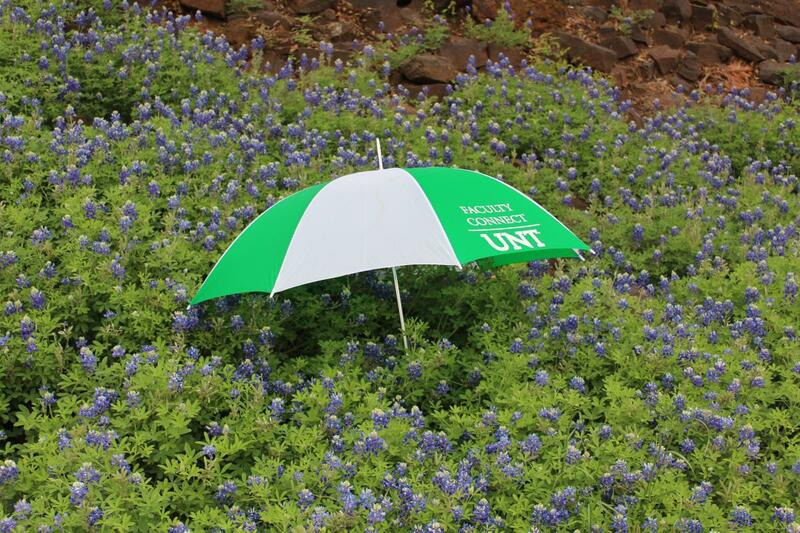 In honor of the season, this month’s giveaway is a handy Office for Faculty Success umbrella. The drawing will be held on April 28, so click here to register. April 11, Willis Library 140, 2:30 – 4:00 p.m.
April 17, BLB 090, 9:30 – 10:30 a.m.
April 18, GAB 104, 3:00 – 4:00 p.m.